Hip for the holidays is winding down, and I hope that you've enjoyed a few of the things that I've shared. I'll pop in tomorrow with a tutorial for a simple hair accessory, and Friday I'll feature some of my favorite projects from the Hip for the Holidays link party. If you have any projects that you want to share, please feel free to link them up. This is somewhat of a repeat from yesterday, but I am pleased with the results so I thought that I'd share. 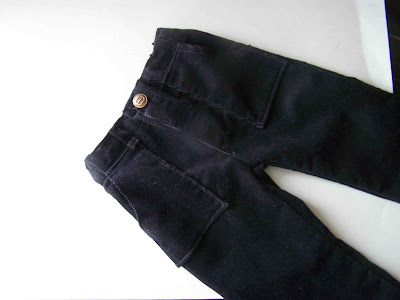 Before I made the newborn baby cords, I made this pair of black cords for Clark. He seems to be growing like a weed, and his Sunday wardrobe is seriously lacking. I decided that he needed a new pair of pants, and that I was going to make them for him. I had some medium weight black corduroy that my mom picked up at a garage sale earlier this year. It was a very nice weight for a pair of pants, and should hold up well. 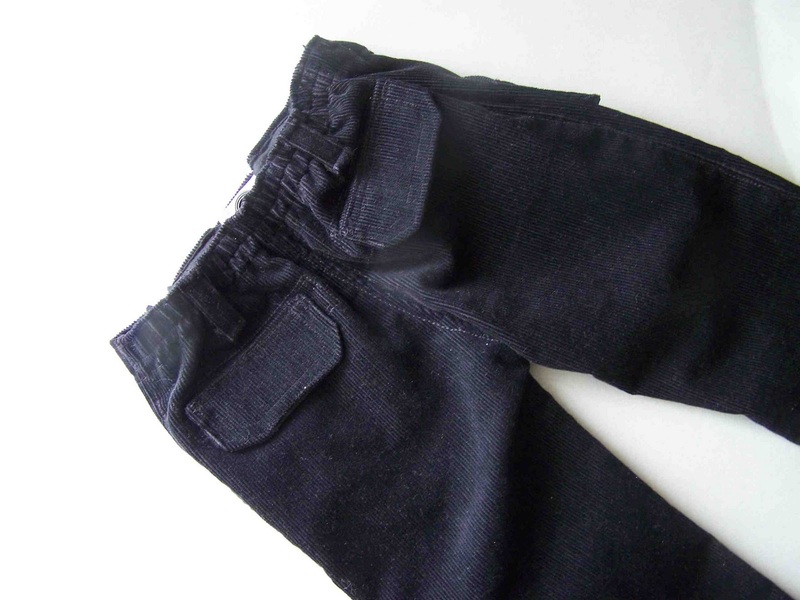 I picked out Clark's best fitting pair of pants from his closet, and used them to draft a pattern. I'm not very experienced in sewing pants, so this was a whole new experience. I had to make my guest guess at creating the fly, and the pockets, and the belt loops, but these are all details that I feel "make" a pair of pants. The pants that I used to draft the pattern happened to be the same pair that I had to add an adjustable waistband to a few months back. So I determined that it would be wise to add an adjustable waistband to this pair of pants as well. I had initially thought that I'd build it into the pants, but when that didn't work, I used the same technique as I did on this pair of pants. I think that the fact that these pants are black automatically makes them feel a bit more formal than some of his other cords. I'm quite pleased with the fit, and the look of these pants. I'm still not an expert at pants, but I have a bit more confidence to make future attempts. As yo can probably tell, this wasn't our most productive photo shoot. Clark couldn't have just a nice pair of pants and a bow tie, I knew that he needed something more. 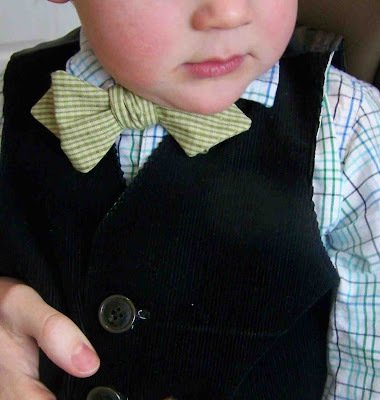 I visited Burda Style, and found a free print at home pattern for this adorable Orlando Toddler Vest. 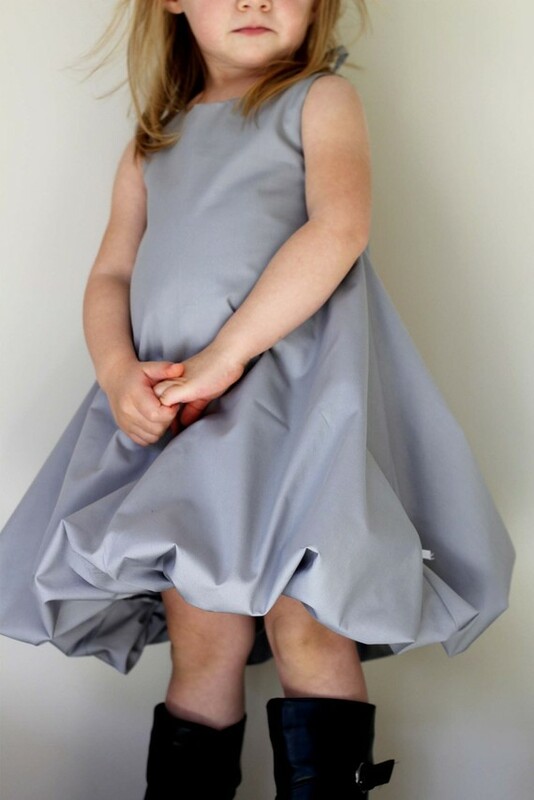 It is only available in a 2T, but could easily be adjusted for a 3T (it is plenty wide, it just needs a bit more length). 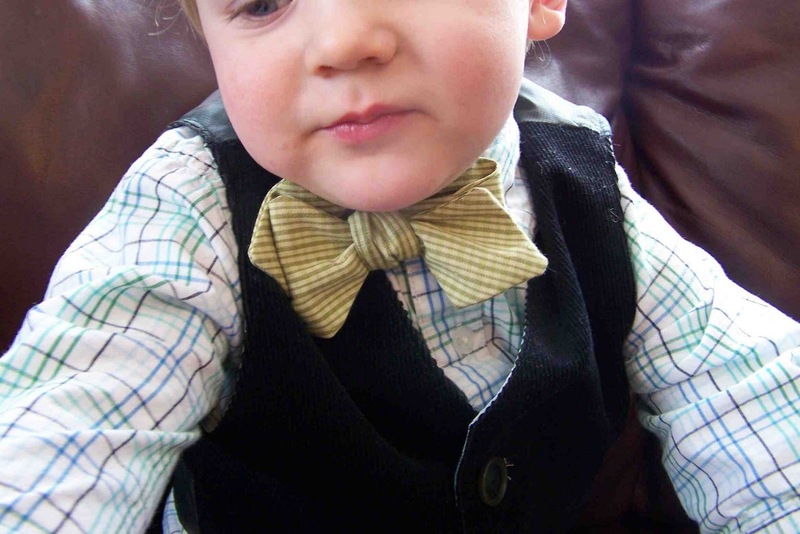 This was a fast and easy sew, and I'm quite pleased with how dapper it makes my little man look. Perhaps you have a toddler girl, or are looking for a downloadable pattern. 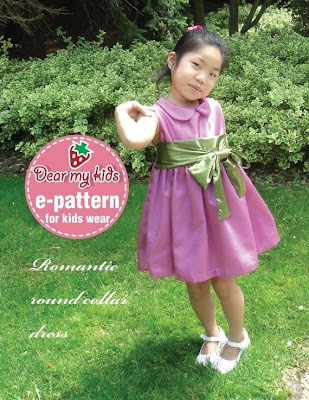 Check out these fantastic pattern shops online. 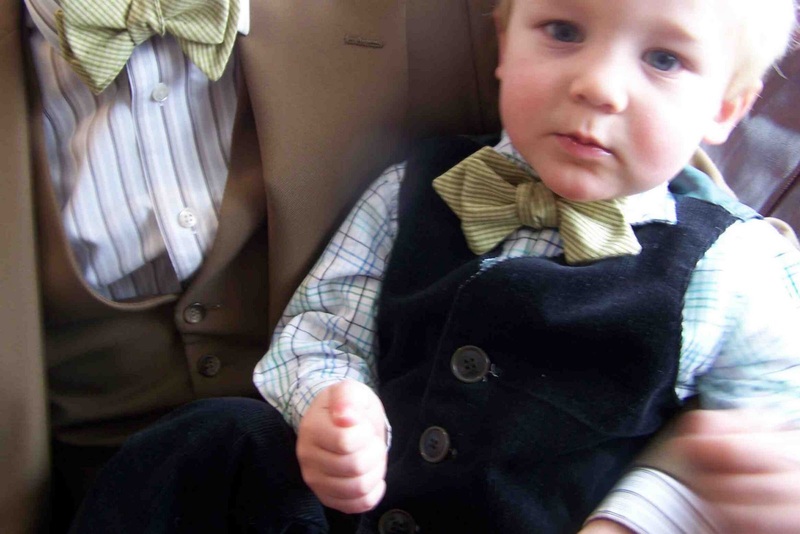 Heidi and Finn is a cute little easy shop that offers fantastic PDF patterns. 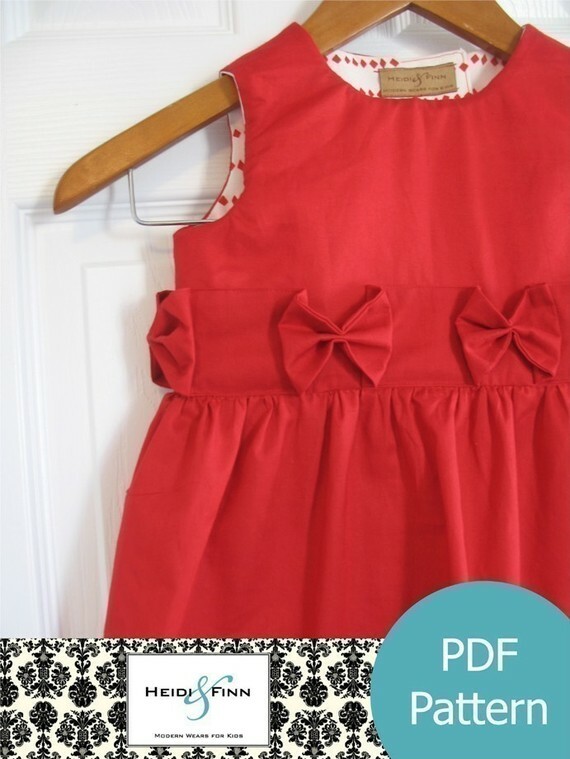 If I had a little girl I'd most definitely be trying out this Perfect Holiday Dress, and the new Bubble Dress Pattern. She also has some great patterns for ruffled boleros, princess leggings, and some sweet swing coats. DMK Easy Wear is another darling shop that I've been waiting to try out. 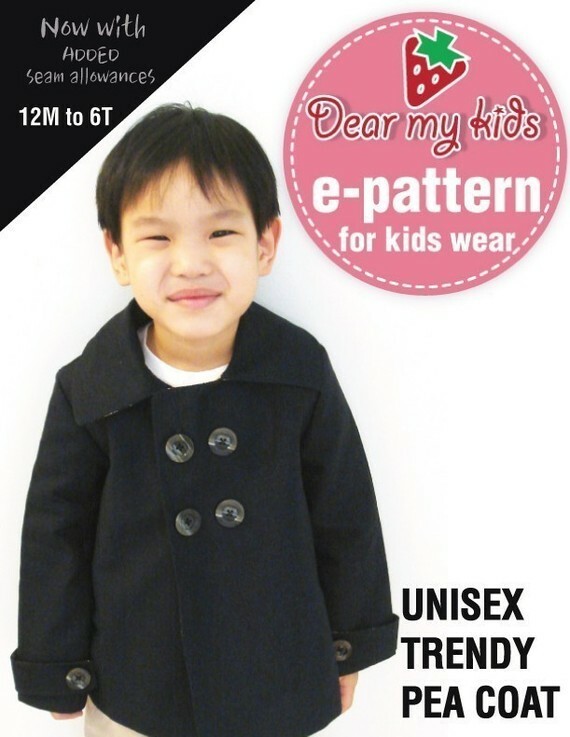 She offers this several printable patterns for stylish dress coats, and dresses. This romantic round collar dress would be perfect for the holidays. I love this Unisex Trendy Pea Coat. Isn't it fantastic. Clark would look rather handsome in it. Go check out her shop and see all of the other goodies that she has available. Do you have any favorite pattern shops? I'll be linking here. Thanks for reading. I'm super impressed! I've been way to scared to make any pants and lately I had to start making some pants for my little guy. The ones I make are much simpler. These look so fabulous! Oh, and I just got an awesome pattern from joccole. I got a super cute little mr. man vest and I'm thinking I might have to make my little guy some matching pants, not sure if I'm just going to make them the quick and easy way or actually try to make super nice ones. And, again, I love the patterns that you highlight. I am completely drooling over that girls bubble dress. Thanks again for sharing! Beautiful job - and such a cute model. So cute! I really need to learn how to make boy clothes! My little dude looked rather dapper on christmas sunday too, but not from anything I made, just bought! Thanks for linking to quiltstory! Okay, I know this is super short notice, but I'm working on a pair of church pants for Paul (for Easter) and I'm just wondering if you can tell me about how you did the faux fly? I love the detail it adds. Any info you can give me is great! Thanks!